Do you like to draw mandalas? Today you can enjoy this coloring book set in the Disney world of Frozen. In this book you can find both your favorite characters to paint and mandalas to color and are set on the ice and everything related to this movie. You have a lot of colors to choose from which to use and to personalize your drawings as much as possible. There are a lot of drawings with which to have fun and spend an afternoon giving color to your favorite movie. Elsa, Anna, Olaf and everyone else are waiting for you to give color to your life!. 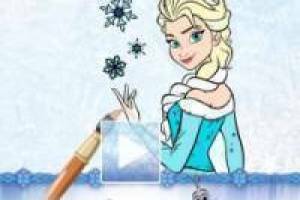 Enjoy the game Frozen Coloring Book, it's free, it's one of our frozen games we've selected.